DREAM GLOBAL REIT (TSX:DRG.UN) ("Dream Global" or the "Trust") today announced the completion of three major initiatives. Dream Global has successfully refinanced the term loan credit facility obtained for its Initial Properties. The new, interest-only facility with Bank of America Merrill Lynch totals EUR244.1 million, has a five-year term and bears a variable interest rate equal to the aggregate of the three-month EURIBOR (capped at a weighted average rate of 1.03%) and margin of 225 basis points. At the current EURIBOR rate, the interest rate under the new credit facility equates to 2.25%. The Trust expects that interest savings will add incremental AFFO of approximately $0.05 per unit on an annualized basis and that it will achieve total annual debt service savings of approximately EUR11.3 million as a result of this refinancing. 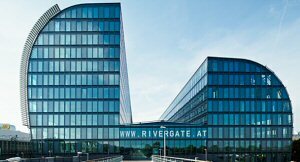 The Trust has completed the acquisition of a 50% interest in Rivergate, a landmark office property located in Vienna, Austria. An Asian sovereign wealth fund will be the Trust's 50% joint venture partner. The Trust, together with its joint venture partner, acquired the property for approximately EUR189 million ($285 million), at a cap rate of 5.2%, with upside potential through leasing and annual indexation. Dream Global will also earn asset management fees from the joint venture. The Trust has secured a 5-year, interest-only mortgage at a 55% loan-to-value at a rate of 1.6%. To view the photo of Rivergate, Vienna, please visit the following link: www.marketwire.com/library/20151216-rivergate800.jpg. "We are excited about our expansion into the highly attractive Vienna market, which has long served as a strategic gateway to Central and Eastern Europe for many multinational companies," said Jane Gavan, Chief Executive Officer of Dream Global REIT. "This acquisition with a new joint venture partner reinforces our reputation as a local European investor with a robust acquisition pipeline and strong management platform. We see Rivergate as the ideal investment for our first venture outside of Germany." Vienna is among the wealthiest and most attractive corporate locations in Europe, boasting significant population growth and one of the lowest office vacancy rates across major European cities. With a total population of approximately 1.8 million, Vienna is the second-largest German-speaking city, only surpassed by Berlin. Sharing close ties and similarities with the German real estate market, Austria represents a strong and stable European country with one of Europe's lowest unemployment rates. Geographically diversifying the Trust's portfolio into this sought-after office market with a new joint venture partner highlights one of the Trust's key achievements in 2015. 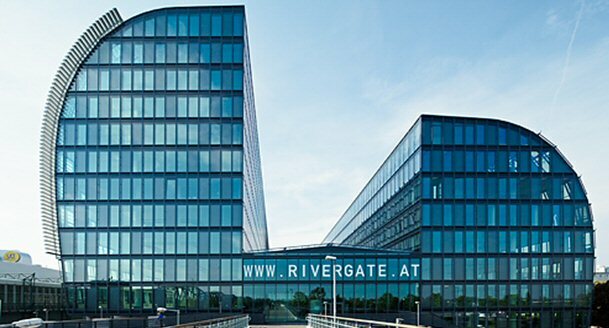 Rivergate, with its distinctive architecture, is a landmark office building situated at the Danube waterfront. This attractive property totals 574,000 square feet and comprises two towers connected by an enclosed atrium. The centrally located property is adjacent to Handelskai station, a key transit hub with access to the underground line and several local S-Bahn train lines, which offer rapid access to all areas of the city and the airport. The property is 95% occupied or committed with a weighted average lease term of 7.3 years. Significant tenants include the City of Vienna and a variety of international companies, namely Thales, Global Blue, Grant Thornton, Sky, Mars and Skandia. Rivergate was built in 2010 and was the first property in Austria to receive LEED Platinum certification. At the end of November, the Trust signed a 20-year lease with the City of Hamburg for the entire 172,000 square feet of space at Hammer Strasse 30-34 in Hamburg, Germany, currently occupied by Imtech Deutschland GmbH & Co. KG ("Imtech"), which filed for insolvency in August 2015. The City of Hamburg will lease the entire property commencing in November 2016. In the meantime, a termination agreement was negotiated with the insolvency administrator, allowing Imtech to remain in occupancy, paying reduced rent through April 2016. This will provide sufficient time for the Trust to reposition the space for occupancy by the City of Hamburg. To view the photo of Hammer Strasse 30-34, Hamburg, please visit the following link: www.marketwire.com/library/20151216-hammerstrasse800.jpg. Built in 2006, Hammer Strasse 30-34 is well located within five kilometers from Hamburg's city centre and is in close proximity to both a subway and a regional train station. "With the signing of this lease, we have turned the insolvency of a tenant into a value-enhancing opportunity for the property. The long lease term combined with a triple-A covenant will enhance the attractiveness of this property and improve the quality and stability of the cash flow," said Michael Schwöbel, Head of Real Estate, Europe for Dream Global. Dream Global REIT is an unincorporated, open-ended real estate investment trust that provides investors with the opportunity to invest in commercial real estate exclusively outside of Canada. Dream Global REIT's portfolio currently consists of approximately 13.8 million square feet of gross leasable area of office, industrial and mixed use properties across Germany and Austria. For more information, please visit www.dreamglobalreit.ca. This press release may contain forward-looking information within the meaning of applicable securities legislation. Forward looking information is based on a number of assumptions and is subject to a number of risks and uncertainties, many of which are beyond Dream Global REIT's control that could cause actual results to differ materially from those that are disclosed in or implied by such forward-looking information. These risks and uncertainties include, but are not limited to, global and local economic and business conditions; the financial condition of tenants; our ability to refinance maturing debt; leasing risks, including those associated with the ability to lease vacant space; and interest and currency rate functions. Our objectives and forward-looking statements are based on certain assumptions, including that the Canadian, German and Austrian economies remain stable, interest rates remain stable, conditions within the real estate market remain consistent, competition for acquisitions remains consistent with the current climate and that the capital markets continue to provide ready access to equity and/or debt. All forward-looking information in this press release speaks as of the date of this press release. Dream Global REIT does not undertake to update any such forward-looking information whether as a result of new information, future events or otherwise. Additional information about these assumptions and risks and uncertainties is contained in Dream Global REIT's filings with securities regulators, including its latest annual information form and MD&A. These filings are also available at Dream Global REIT's website at www.dreamglobalreit.ca.